Along with an amazing diversity of terrain, culture, art, history, and culinary adventures, we have excellent year-round outdoor activities; terrific skiing, river rafting, kayaking, fly fishing, hiking, biking and more. 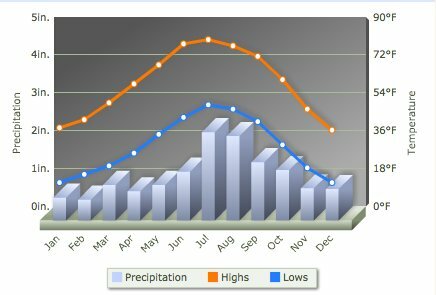 Here’s a guideline chart of annual temperature and precipitation averages. As temperatures may vary broadly during any season, the main thing to remember is that layering is the best way to be prepared for whatever the day’s weather in whatever season in Northern New Mexico. The fall brings cool nights and mornings beginning in late August – early September. The days can warm up considerably into the mid to high 70s, and even low 80s. You’ll want to bring a warm jacket for evenings and mornings and have a light shirt under your layers for the high temps of the day. In late September through mid-October the lows are colder, down to 40s, the days can warm up to low-mid 60s, and maybe low 70s if we’re having a warm streak. By early to mid October, we see the peak of beauty in the changing leaves. By the end of October, it’s touch and go, you definitely need to be prepared for anything from cold to warm, rain or an odd snow flurry at higher elevations, so packing the layers is a must. Winters tend to rev up starting from late November and can last toward the end of March, but there’ll be warm days interspersed through January and February just to remind us that spring is on its way. Winter snow brings great skiing and winter sports activities. Daily temperatures can vary radically from high 50s to low 30s. But the cold air is dry, so it doesn’t feel as cold as the damp, bone-chilling cold I experienced growing up in England. For a winter visit you’ll want that puffy coat, or something that will keep out the chill, and some nice warm boots with rugged soles that grip well (with scarf, hat, gloves close by, just in case). Spring shows up from time to time during February and March, but the steady spring temperatures aren’t until late April. As a rule, we don’t plant anything in our gardens until after Mother’s Day to be sure they won’t be crippled by a late frost. Spring highs can range between an ideal low to mid 70s to nippy low 40s – high 30s at night. Intermittent winds are common between March and May, which, though not necessarily cold, can be strong. Late April, the trees are starting to blossom and in early May there’s usually an abundance of lilacs and wisterias coloring the town with shades of blue, purple, white and pink. You’ll need a spring jacket for the early morning and late evening chill, and a hat for shade. Be prepared to shed layers during the day. After mid-May the spring is in full swing and the highs are getting higher, toward the low – mid 80s during the afternoons. By Memorial Day Weekend summer is on its way. And by June, the highs average between 80 – 90 degrees (sometimes a little higher for short spurts). Cool nights and early mornings may require an extra light layer. By 10 am it has warmed up considerably and the lightest shirt and shorts, with good walking sandals, hat, sunscreen, and sunglasses are ideal. An extra light layer is always a good idea if you can fit one in your bag, or tie around your waist or shoulders in the case of an occasional rain shower. In July, the heat and mountainous terrain can stir up an afternoon thundershower, locals refer to it as the monsoon season. These welcome storms add a touch of drama to the skies and may last anywhere from 20 minutes to an hour delivering refreshing rains. I’d say bring an umbrella, but honestly, who cares if you get wet when it is so brief, and deliciously warm and fun! On occasion, there may be hail that can vary in size from styrofoam looking baubles to the less common golf ball size (I’d take cover for those episodes). The accompanying lightning displays are phenomenal! And then there are often gorgeous rainbows (some doubles) arcing after or during a storm. And after maybe an hour of drama, you’re left with a fantastic sunset, slightly cooler temperatures and a perfect evening to take a nice peaceful stroll around the Plaza, listen to free music at the Plaza bandstand, and eat dinner at any of the favorite restaurants in the vicinity. A light extra layer, shawl, or sweater may be needed, if not for outside, then perhaps for inside where there may be air conditioning. Air conditioning is not a big necessity here as the adobe buildings are quite good at keeping us cool in summer but some restaurants, museums and theaters may have A/C. Comfortable walking shoes or hiking sandals are recommended for most activities, from strolling around the many museums and sites, to the beautiful long or short hikes that can vary from easy to moderate inclines, up to extremely steep terrain. 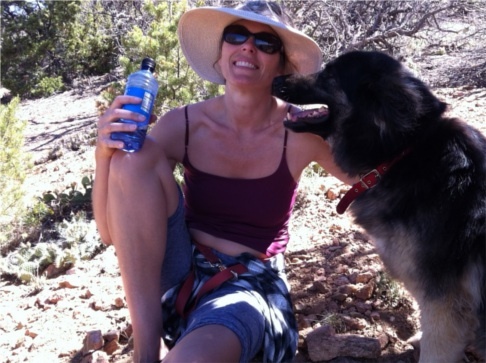 I recommend Santa Fe Mountain Adventures for a great variety of fun excursions. They’ll custom cater to you and your skill level. Here’s Georges Mally of SFW in January on the beautiful red rocks at O’Keeffe’s favorite place, Ghost Ranch. Whatever the season, layers are the best way to be prepared. Year-round it is wise to carry sunscreen, chapstick and a brimmed hat and sunglasses. We are high up and the sun is strong. At 7000+ feet, the air is excellent quality, but thinner. Regardless of age or physical condition, your body may need a little time to adapt to the altitude. DRINKING LOTS OF WATER IS A MUST!!! You might think you drink enough already, but a minimum of 2 litres is a starting point here. And drinking alcohol can hinder and extend the adjustment period. When you first arrive, it is best to allow a day or two to adjust before any strenuous activity or excursions. Take it easy, drink plenty of water, skip the alcohol, eat regular light meals, take a nap if needed. And if you feel you need some assistance, no worries, there’s the ultiMED Urgent Care facility just a few blocks from the historic Plaza, to help you out. No lines, no hassle, no appointment necessary, just a pleasant environment and swift, professional medical attention (most insurances accepted). They’ll have you back to enjoying your vacation in no time! Click here for more details on altitude adjustment symptoms. 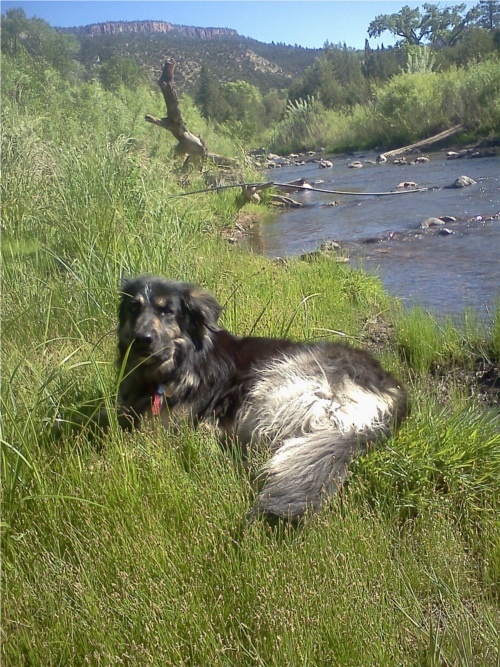 Dozin’ by the Jemez River in late May. There’s something for everyone in New Mexico. So be sure to add it to your list of places to visit. 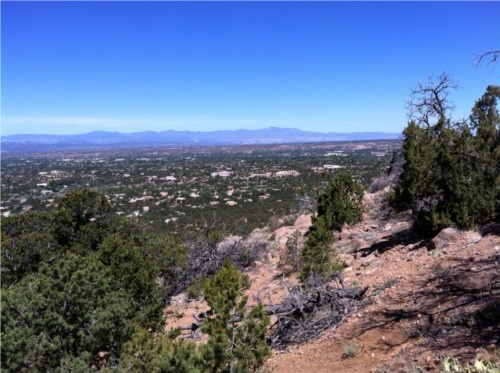 To help you plan your trip, find the right lodging for your needs and budget, access excellent maps, or if you have any questions about things to do, where to eat, etc., please visit SantaFeSelection.com Travel Guide & Concierge. For great deals on Santa Fe hotels and motels, go to our Lodging category on SantaFeSelection.com you can book direct and save with special discounts. If you would like free personal referrals, you can also call or write to me with your questions. (505) 470-2991, email: Maria@santafeselection.com. Thank you for reading my blog. If you’d like to receive my posts via email, please send your request to me at Maria@santafeselection.com. This entry was posted in All Posts, Helpful Tips by Maria Johnson. Bookmark the permalink. thanks for the imfo. We will be visiting in january and I was wondering or not to bring my “puffy” coat and your comment was perfect! Winter clothing will be packed! I just came upon your site and will check it out. I visited several years ago and will be out there in mid April. HI Angel, I’m glad you found us. Enjoy your visit in April!! It’ll be rafting season, and the weather is behaving nicely. FYI: I also offer free concierge assistance to help folks find the right lodging for their budgets, and give tips for your itinerary, to make the most of your time, if you need it. Enjoy the easy-reference guide I created at santafeselection.com. We are looking to do a girls long weekend in late April/early May. Are there any art fairs, or the like that we should try to plan our schedules to include? Thanks. Thank you for your query. I’ve responded via email. Remember to go to SantaFeSelection.com for all your inside info on the best things to do, restaurants, activities etc., in Santa Fe and surrounding areas. We are heading to Santa Fe Oct 22, 2015 for the first time. Not sure what to wear and is it cold, wet, snow? By the end of October, it’s touch and go, you definitely need to be prepared for anything from cold to warm, rain or an odd snow flurry at higher elevations, so packing the layers is a must. My daughter and are arriving for 5 days, beginning next Wednesday. Predicted temperatures are upper 50’s. Do you still recommend puffy coats, scarves and heavier sweaters? Hi Georgia, Yes, it’s still very chilly here right now. BUT we are expecting a slight warm up next week. I do recommend the puffy coat, hat, scarf, gloves, and layers. As they say here, “If you don’t like the weather here – wait a minute!” Enjoy your visit. If you have questions about where to eat, shop, play, things to do, etc please reference our travel guide site: SantaFeSelection.com Travel Guide & Concierge. Maria, I’m coming to Santa Fe for summer camp next week. I’m so glad I found your blog! Thank you! Visiting in Mid January. Thanks for the info. Hope I can find some fun things to do. First time in NM. Thank you for your comment. 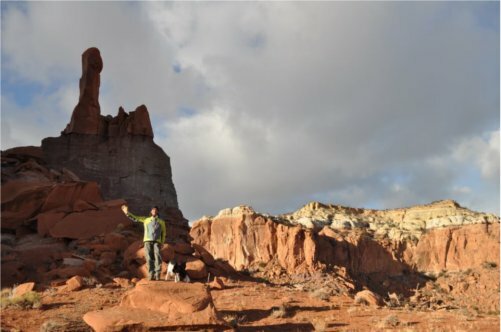 Please be sure to check out my Travel Guide site, SantaFeSelection.com and you’ll find many deals on lodging, and great ideas on things to do/classes/workshops/restaurants etc. Should you have any questions, don’t hesitate to call or email me. I’m here to help you make the most of your stay. If you’d like a free Mini Guide map piece, let me know where to send it. My family and I are planning a visit to Santa Fe this year (February 26 – March 3). I need help with packing for the weather. Can you recommend a place to stay and a few places to eat? What about things we must see and do? Thank you I enjoyed reading your blog. Hi Beverly, I’m happy to help you find the best rates for your lodging, and your other requests, please call me at 505 470-2991 so I can help you. 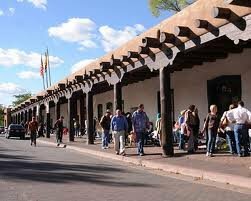 Please go to SantaFeSelection.com for our complete travel guide for activities, restaurants, kids stuff and more. Also we can mail you a free mini guide map piece, which is essential to help orient you to our city and surrounding areas and all major points of interest. So, when you call me I can get a mailing address and send that to you. I look forward to hearing from you soon. Best, Maria. 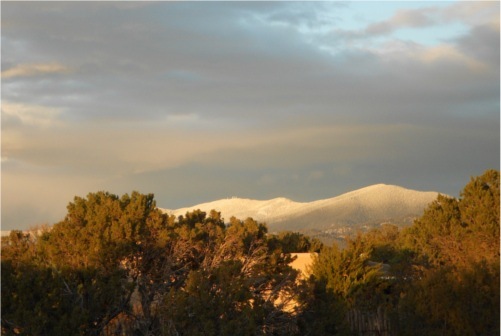 Hi arriving in Santa Fe on May 9….looking forward to a beautiful visit…hoping the weather does cooperate and presuming I need layers!